Here are some very good articles from the London Times, they are from the period 1895-1928! 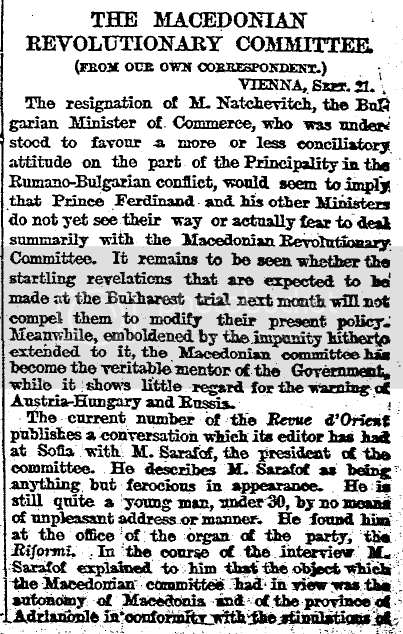 The Macedonian Revolutionary Committee (News) FROM OUR OWN CORRESPONDENT.. The Balkan Outlook. The Macedonians And The Reforms. (News) (FROM OUR OWN CORRESPONDENTS.). The Macedonians. A People Longing For Peace. (News) (FROM OUR SPECIAL CORRESPONDENT.). The Outbreak In Bulgaria. 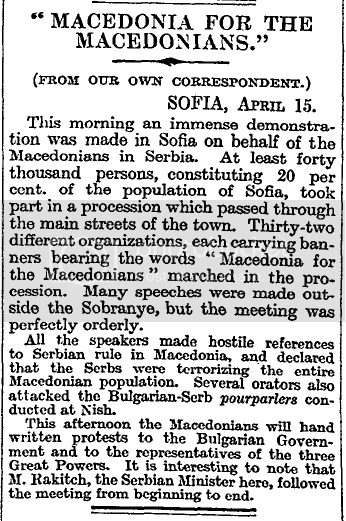 Macedonians Seize A Town. (News) (FROM OUR CORRESPONDENT.). “Macedonia For The Macedonians.” (News) (FROM OUR OWN CORRESPONDENT.). 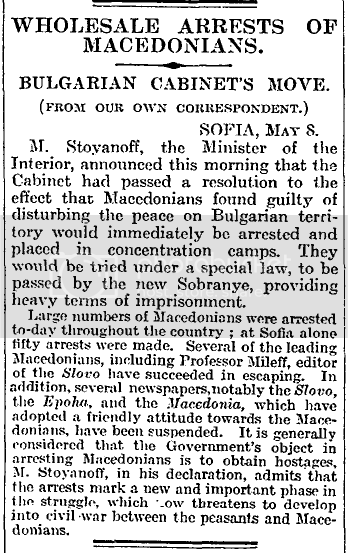 Wholesale Arrests Of Macedonians. Bulgarian Cabinet’s Move. (News) (FROM OUR OWN CORRESPONDENT.). 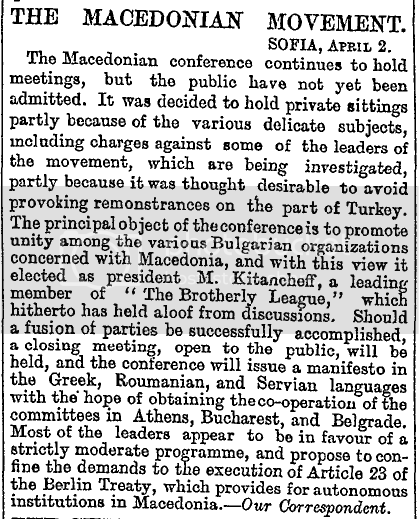 140 Macedonians Arrested. Bulgarian Government’s Action. (News) (FROM OUR OWN CORRESPONDENT.). Bulgaria And The Macedonians. A Property Dispute. (News) (FROM OUR CORRESPONDENT.). 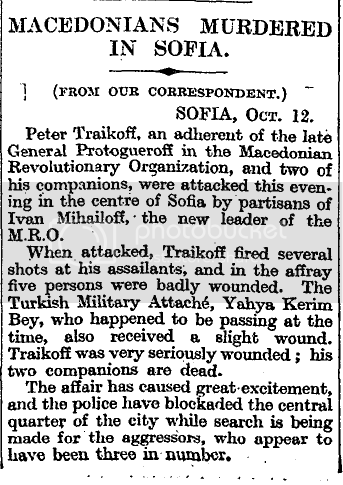 Macedonians Murdered In Sofia. (News) (FROM OUR CORRESPONDENT. ).